Stained glass window over the main doorway in Ballinglough Church; in memory of Patrick Aranyos O’Reilly who died in the Twin Towers on September 11th of 2001. His mother, Winnie Aranyos O’Reilly is a native of Patrickstown donated the window. 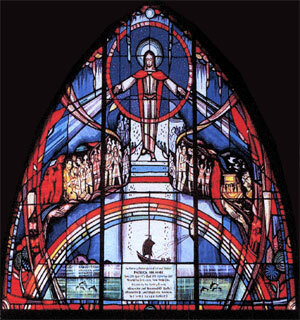 The stained glass artist was George Walsh, from Dublin.